Mumbai: Shares of JSW Steel fell to a more than two-year low on Monday on media reports of raids by the Central Bureau of Investigation (CBI) at its plant, which the company denied and a rating downgrade by a US investment bank. Morgan Stanley on Monday downgraded the stock to “underweight" from “equalweight" on continued concerns about its risk to raw material availability. Earlier in the day, local television channels had reported that the CBI had raided its Vijaynagar plant but the company denied the raid, saying a team visited its plant to seek information on its purchase of iron ore.
Investors dumped JSW Steel shares on Monday to a day low of Rs540, down 8.8%. The steelmaker’s shares have lost more than half its market value in 2011 so far. At 1.11 pm, they were down 6.5% at Rs553.5. Morgan Stanley said the availability of iron ore was becoming more difficult in Karnataka. “Iron ore situation is becoming tighter in Karnataka, impinging on JSW’s ability to source ore and pushing up its production costs", it said in a note, lowering sales volume forecasts for fiscal year 2012 by 2%. “When we superimpose JSW’s company-specific issues on the broader macroeconomic risks, we conclude that JSW may have more downside than upside from here, notwithstanding the trailing weak performance," it added. JSW Steel was affected in August after the country’s apex court put an interim ban on iron ore mining in Bellary district of Karnataka due to illegalities. Last week, JSW Steel, in which Japan’s JFE Holdings owns 14.8%, said it has scaled down steel production at the Karnataka plant to 30% of its capacity on lack of iron ore supplies. 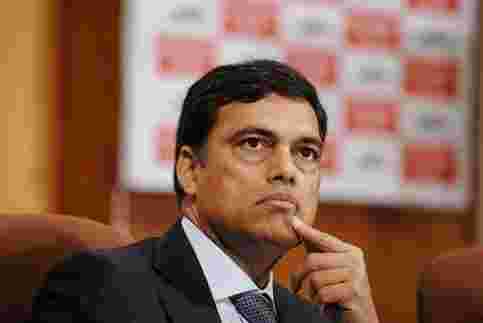 Following that, its vice-chairman Sajjan Jindal also told reporters it may have to shut its Vijaynagar plant - which accounts for 10 million tonnes of JSW’s total 14.3 million tonnes capacity - if the ore supplies did not improve. Its Japanese affiliate JFE would book an appraisal loss of around $1 billion on its securities holdings for the September quarter due to a drop in market prices. Of this $778 million will be on account of its holdings in JSW Steel. However, the company got some relief when it won around 0.4 million tonnes of iron ore at an auction held by state-run miner NMDC last week, raising hopes among investors of improved production in the coming weeks. “We expect JSW Steel plants to start operating at rated utilization by the end of October," Nomura, which has a “buy" rating on the stock, said.